Exciting news design-loving friends! 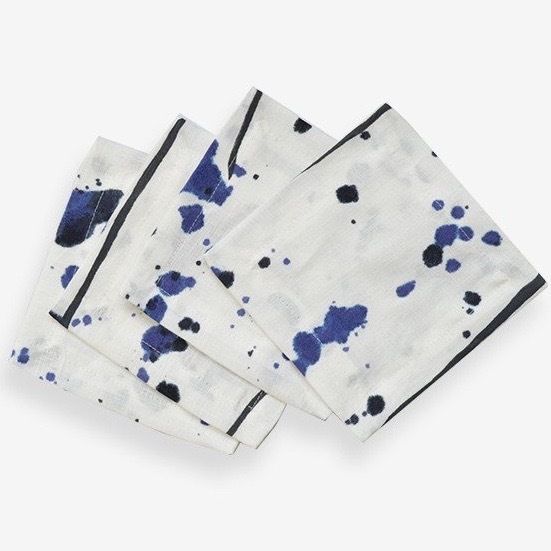 Porter Teleo, makers of that astounding wallpaper from a Kelly Wearstler Vogue story back in the day have just launched a line of table linens. And in the nick of time for Holiday gifting. It was that Vogue piece that first introduced me to Porter Teleo and I remember the wallcovering really making a splash at the time. Le Tout of the design world wanted it. The chicest graffiti possible. Soon after that, Primavera Interior Furnishings here in Toronto began to carry the line. My former House & Home mag colleagues Sarah Hartill and Stacey Smithers cleverly framed pieces of the hand-painted silk to bring some modern edge to their client (and new House & Home editor-in-chief) Beth Hitchcock's living/dining space. Shame about the light reflection in this shot as I feel it somewhat obscures the full glory of this triptych. But enough about the back story and onto the news. 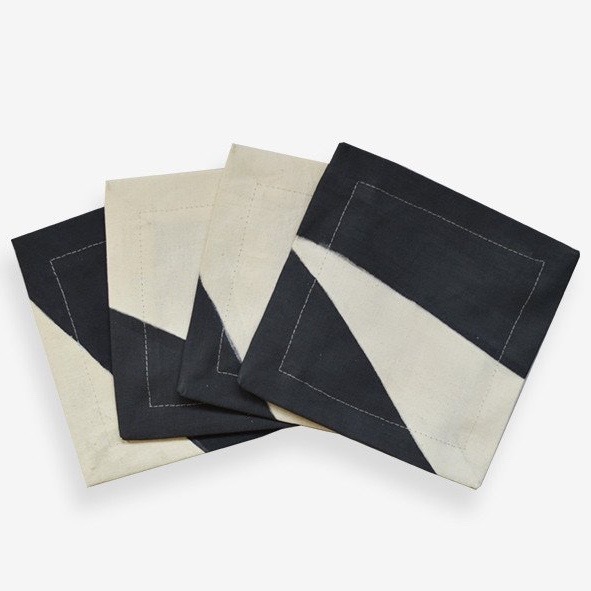 The dinner napkins are made of 100% Belgian linen and are 21 inches square. 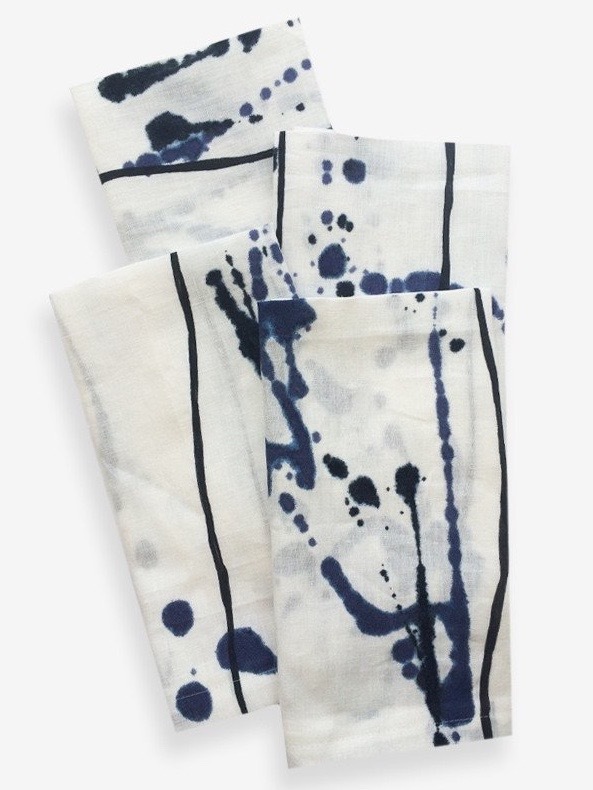 Stocked colour ways include the Bleu, Gris, Alizarin and Naples Yellow shown here, as well as a few patterns of gold on white. 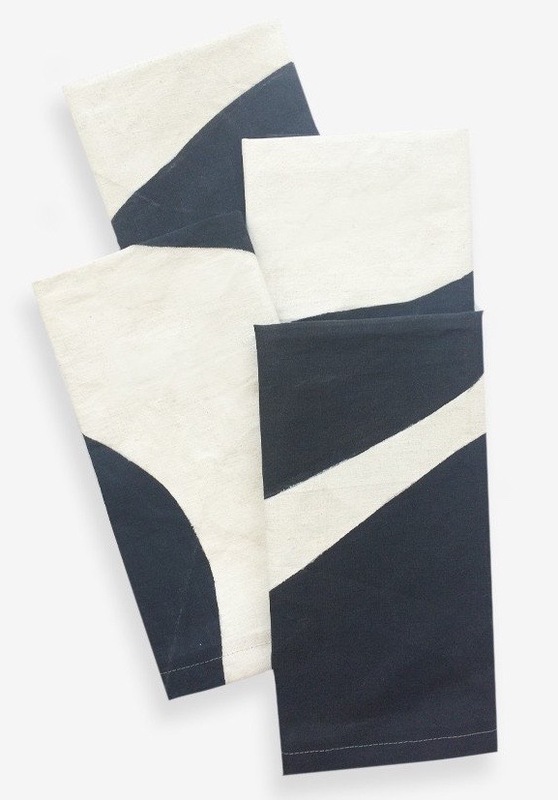 The complete collection includes tablecloths (65 x 128in, $545), a runner (21 x 61in, $145US) and placemats ($38US ea). You just can't beat the cocktail napkins when it comes to giftabiliity. A set of four will set you back $52US and will instantly bestow upon you Best Guest status when you bring them to the host of the next gathering you attend. If I invite you over, please bring me the black and white ones (called Gris) k, thanks. But that's not all! 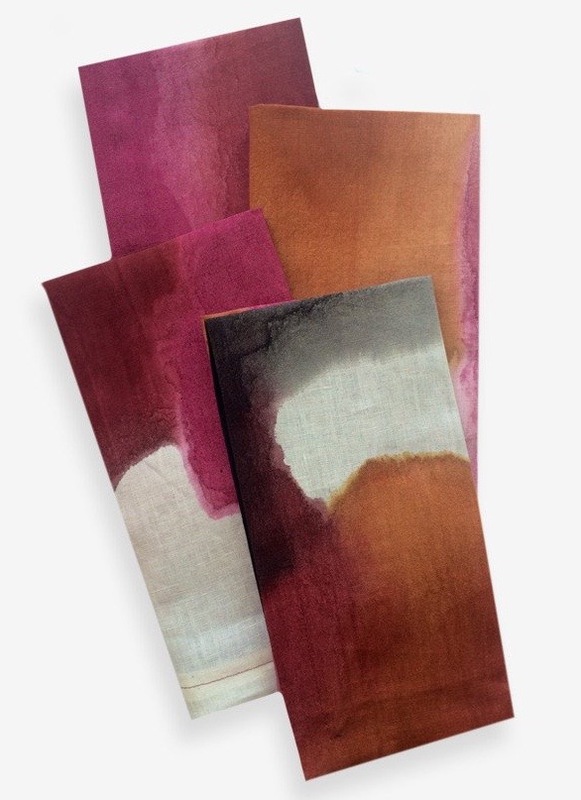 Since Porter Teleo is very much in the bespoke biz, the new linens line can also be ordered in custom colourations. Choose the item(s) you want from the collection, then select the Benjamin Moore paint chip or your choice and the folks at PT will whip up your custom colour linens in 2 weeks. If I were in the wedding planning biz this would be my go-to! And one more thing. Gift wrap. Oh myyyy. Just this evening I was chatting over the 'gram with my gift wrapping guru pal Corinna about my undying love for plain kraft paper and understated embellishments. Well, just hours later I was tempted to leave kraft paper for this stuff.